We are phasing out "special needs" when referring to people with disabilities. People with "disabilities" prefer "disabilities" rather than special needs. There are still some instances where it is used, such as "Special Needs Trust," so we will continue to use it in some cases. We are using "neurodiversity" to describe neurological differences. People with these differences prefer "neurodiversity." We are using "Person-Centered Independent Living" (PCIL). PCIL is when a person selects the home of their choice that provides the opportunity to live independently in the most community-integrated homes appropriate to their needs and in a stable, long-term living environment, and when service agencies provide services where the person needs them. During 2018 CPSH will be sharing our work with members of the LinkedIn community through CPSH page. There, we will be discussing how CPSH is leveraging social, economic and technology changes to empower people with disabilities to make choices in their lives. You are invited to follow CPSH on LinkedIn. "Amazing things happen when you give! I answered an online plea to contribute to CPSH on Giving Tuesday after Thanksgiving. As an afterthought, I clicked the Facebook link and wrote a comment on my family's connection to the CPSH effort. I mentioned the importance of affordable housing to my son Tracy. "What happened? Tracy's special ed teacher from high school (Class of 2008!) messaged me. She now lives in Minnesota and was thrilled to catch up on Tracy's progress. She asked for his number and called him to say hello. "What else happened? A dear friend who moved to Seattle a few years ago, made a donation! "Warm feelings all around – the pleasure of giving, re-connecting, and inspiring others to give." Male Roommate Wanted: Neighborhood Home in Plano TX. 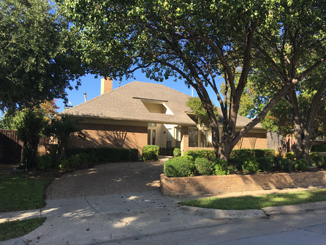 Female Roommate Wanted: Neighborhood Home in Carrollton TX. Opportunity for a lady with disabilities to join two others living in a comfortable 4-bed custom home in Carrollton, TX. Spacious bedroom with private walk-in shower will be available shortly. The home has two large living areas - one dedicated for activities/arts & crafts, plus spacious kitchen and large enclosed yard. Has live-in, full time care provider. HCS, CLASS or private pay accepted.